Should Landlords Allow Tenants to Work at Home? Home · Property Management · Latest News : Should Landlords Allow Tenants to Work at Home? Shouldlandlords allow tenants towork out of residential rental property? 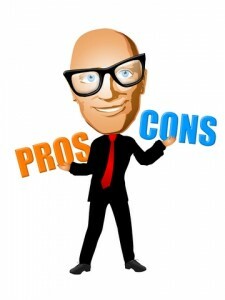 Beforeyousay yes to an applicant, consider the pros and cons. At least the tenant is working, and that means they can pay the rent. Business use of a residential property may violate the zoning regs in your area. The business activity may irritate other tenants and neighbors, especially if members of the public are invited on to the property or park cars nearby, or the business is conducted early in the morning or late into the evening. The activity may increase the landlord„¢s liability for events like slip and fall, or compromise other tenants„¢ security. The tenant„¢s work may cause excessive wear in the unit or increase shared costs. Best course of action: Landlords should prohibit business use of residential property in the lease agreement. Compromise: Before agreeing to the business activity, landlords should consider specific zoning restrictions, and talk with an insurance agent about extending coverage appropriate for the circumstances. Also, a landlord should limit business activity to that initially described and agreed upon so the tenant is not free to change their line of work during the lease. See our feature,MakeMore Money From Your Rental Property. American Apartment Owners Association offers discounts on products and services for landlords related to your rental housing investment, includingrental forms, tenant debt collection, tenant background checks, insurance and financing. Find out more at www.joinaaoa.org.